Drag the endpoints of the chords to adjust the measures of the arcs. 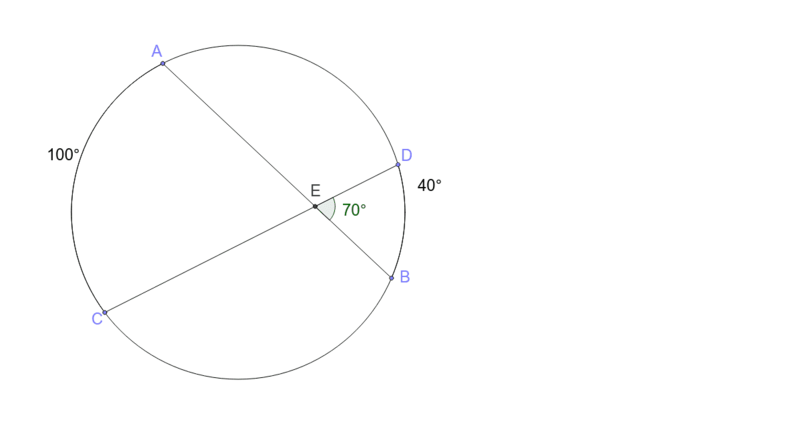 Do you see a relationship between the arc measures and the angles formed by the intersecting chords? Take the sum of the arcs BD and AC. What's the relationship between the sum of the arc measures and the angle formed by the intersecting chords? Fill in the blank: If you have intersecting chords, the angle formed by the intersecting chords is _________ of the ___________ of the intercepted arcs.